Rosemary Auchmuty is a professor of Law at the University of Reading. She teaches property law and writes on sexuality, marriage/civil partnership, feminist legal history and feminist approaches to law generally. 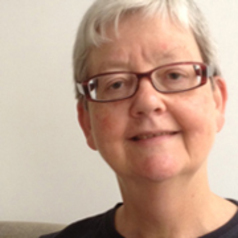 She co-founded the Lesbian History Group in 1984 and has written two books on girls' school stories. More recently, she edited Great Debates in Gender and Law (Palgrave, 2018) and co-edited Women's Legal Landmarks (Hart, 2018).